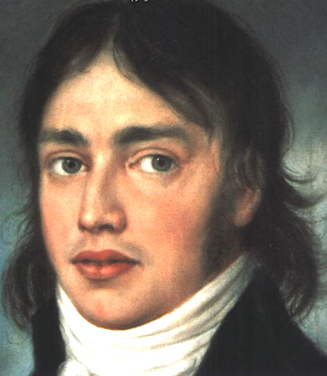 This startling feature can be seen in almost every Coleridge portrait. In Pieter Van Dyke’s portrait of 1795, the year Coleridge was married to Sara Fricker in Bristol, his eyes are wide, almond-shaped, perhaps squinting with the expectancy of joy. In James Northcote’s portrait in 1804, the year Coleridge set sail for Malta, there is a far-reaching look and an expression of sadness given his now-troubled marriage to Sara and his unrequited love for another Sara, Sara Hutchinson. But, as in the sketches and pencil-drawn renditions by C.R. Leslie (1819), J. Kayser (1833) and George Dawe (1811), Coleridge’s large, expressive eyes always demand our attention, notwithstanding the severe illnesses the poet was suffering from during some of the sittings. Those soulful eyes are staring directly at us in the portrait Coleridge in Germany by Artist Unknown (1799; above right). Despite profound health problems which led to premature ageing and significant changes to his face, Coleridge’s eyes never lost their animated look; his eyes hypnotised, held forth. Coleridge was a famous orator as well as a famous poet and he used the power of his eyes to hold an audience, whether lecturing in Bristol or London or during his renowned ‘table talk’ as ‘the sage of Highgate’ later in life. A century before Coleridge was born developments in the science of optics and the use of the camera obscura to view the world had thrown into question the veracity of what the human eye actually sees. But for Coleridge, optics and lenses didn’t really improve seeing; rather, the microscope put boundaries around sight and distorted attempts at true seeing. Coleridge turns Bacon’s ‘not naturally seen’ into an advantage for his alternative theory. Coleridge is interested in the bigger picture and in even a seeing beyond or behind the picture — the initial visual image of the world perhaps only a Platonic representation of the real. The way to see through the initial sense impressions of sight is via the imagination, the mind’s eye, a view of the world that relies on the notion of diffusion (a word with both artistic and scientific connotations, a word both theoretical and practical). For Coleridge, a dreamy reaction to the clouds above Delft would be more revealing than a close analysis of a milk jug by Vermeer. Sight is prioritised above all senses, most revealingly when he considers blindness. ‘Limbo’ and ‘Fancy in Nubibus’ use the notion of the blind gaze. In ‘Fancy in Nubibus’, the gaze is akin to a daydream. The subtitle — or the poet in the clouds — allows us to enter the imaginative world of fancy where in a pleasant state (‘heart at ease’) the poet can allow his ‘easily persuaded eyes’ to make of the shapes of shifting clouds a narrative where we see ‘crimson banks’ and ‘gold rivers’. In a shift from clouds to tides the inner eye of the poet can take us smoothly from cloudy skies back to the ancient past, invoking Homer (‘with closed sight/be that blind Bard who on the Chian Strand…’) who, though blind, is possessed with an ‘inward light’, all-seeing, bequeathing us The Iliad and The Odyssey. In associating himself with Homer, Coleridge is suggesting that poets see in a different way, transcending time and space. In ‘Limbo’, human time is represented by an old blind man. A peasant farmer, he ‘stops his earthly task to watch the skies’. He gazes like the moon, ‘his eyeless face all eye’. His whole face is described as an eye as if it were ‘an organ full of silent sight’. The farmer in a communion with a higher power, sees blindness is the way to the rejoicing light (and a way out of purgatory?) and to a connection with God. The farmer seems to ‘gaze at that which seems to gaze on him’. If thou wert here, these tears were tears of light! As ever made these eyes grow idly bright. Thine, Sara, thine? Oh joy if thine it were! The poet is wakened from his trance by another’s eyes, those of a child, ‘Frederic’, who ‘with his bright eyes at my face was peeping’. Eyes are used as a familiar gateway to a dream and reminiscence, but in this poem there are two pairs of eyes detailed that remind us of the subject-object dichotomy of looking and being looked at. Change and hope are also represented by tears; in a political poem like ‘Pantisocracy’, perhaps utopian tears of possible joy. ‘Eyes that have ached with sorrow’, now weep ‘tears of doubt-mingled joy’. The tears in ‘On Receiving an Account that His Only Sister’s Death Was Inevitable’ are mournful, sorrowful; the brother’s eye is a ‘hollow eye’ to match ‘this heartless pain’; a sister dying brings forth from the eye ‘the tear which mourned a brother’s fate scarce dry’. The tearful eye is there in ‘Life’ when musing over a sister’s pain, but this leads to a vision of nature (extensive plain, native otter, stream) which gloriously leads to a clarity of vision (‘at every step it widen’d to my sight’), wood, meadow and green hills ‘did my eye ravish’d sweep’. And ‘My eye shall dart thro’ infinite expanse’. 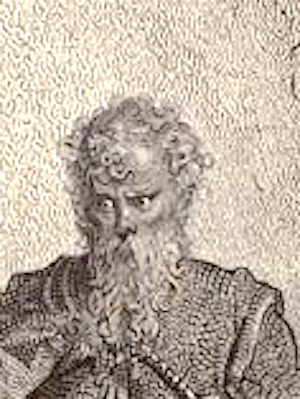 The memorable image in ‘The Rime of the Ancient Mariner’ of his ‘glittering Eye’ and Kubla Khan’s ‘flashing eye’ and Christabel’s ‘bright eyes divine’ are all powerful symbolic reminders of the enduring effect of Coleridge’s basic eye imagery, Christabel’s ‘large, bright eyes’ and Geraldine’s reptilian (‘a snake’s small eye blinks dull and shy/And the lady’s eyes that shrunk in her head/each shrunk to a serpent’s eye’). Coleridge’s eye poems can also be purely symbolic, no more dramatically than in ‘Alla Sua Amica’, a passionate address to a Lady (‘Lady to Our Death Be Doomed’). The line ‘the rays concentre to so hot a flame’ indicate a relationship near to something like criminal love, the poet’s crime to desire so passionately, the Lady’s to reject the poet’s passion disdainfully. The poem ends with the line: ‘In my heart thou will burn, I roast before thine eyes’ The image of a man burning in a conflagration of fire is Coleridge’s most physical and imagistic eye poem. In several poems, the eye, once projected onto its surroundings, becomes one with the thing it is observing. The eye personifies, or lends itself to anthropomorphism. NOTE: In The Fortnightly’s online template, illustrations are thumbnails with captions or onward text links embedded. To enlarge an illustration, click on it. To read a caption, hover over the illustration. ‘To the River Otter’, at first glance, seems a straightforward nature poem. It’s both a sonnet, and an ode to home (‘Dear Native Brook’), a ‘vision of childhood’ that nature, or memory of nature, in the form of a beguiling river, has triggered. But the river’s ‘bedded sand…veined with various dyes’ seems to work as a personification of, or metaphor for, the human eye, a union where the ‘bright transference’ of the poem’s subject matter is strikingly revealed. The line-and-a-half midway through the poem ‘…that mine eyes/I never shut amid the sunny ray’…offers the reader a clear understanding of what the poet feels about the bliss of childhood reminiscence in a trance-like state, but also what it feels to be a part of the ‘sunny ray’ which could be God, or a life force. The ‘crossing plank’ the journey through memory, (that inner eye? ), the stone that’s skimmed along the river the eyelid, perhaps, the leaps of the skimming stone a series of blinks over ‘the breast’, or the cornea, of the river until the gaze of the poet and the gaze of the river become one, fixed on, or transfixed by, the ‘sunny ray’, the eye of the river (from flowing watery surface to river bed ) and the poet’s eye (perhaps weeping — ‘with all their tints the waters rise’), until the moment when the remembered stone sinks to ‘sweet scenes of childhood’. This freeing of eyes from their sockets is symbolic of the poet’s belief in an idealistic philosophy over a materialistic one. Here sight is distinguished from the physical structure and medical properties of eyes and can lead to visions of sublime worlds. A poet’s gifted imaginative eye can ‘dissolve, diffuse and dissipate (experience) in order to recreate’.7 The poet is a seer or magician. What the poet sees can be manifested through ‘kindling coal’ and ‘upwreathing smoke’, something external; on other occasions sight is portrayed as a personal meditation, an inner light, a beatific self-realisation, ‘innocent soul’s…self-heraldry’, a spiritual light the other side of mourning, grief and tears. Coleridge’s interest in the (mind’s) eye helps the poet formulate his famous theory of poetics in the Biographia Literaria where the primary imagination is held to be ‘the prime agent of all human perception, and as a repetition of the finite mind of the eternal act of creation’.8 The eye, seeing, insight and imagination are one. Coleridge is less interested in the other senses of touch, hearing, taste and smell, and is not interested in the politics of the eye in the sense of despotic judging, or having pre-formed opinions regarding what he is seeing. The eye is mind, mind is sight, and seeing is a part of a metaphysics of being. In Coleridge’s poems the eyes can think. James Joyce elaborates on this idea in Ulysses where he writes of ‘the ineluctable modality of the visible’ and ‘thought through my eyes’9. 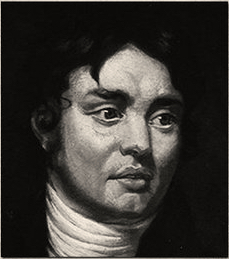 Coleridge’s eyes set him apart from his fellow man. Those eyes that so transfixed people, in life and painting, looked at the world in an original and inventive manner. His extensive and expansive notebooks show him to be constantly questioning the belief systems of his age. His thinking reached its philosophical apogee in his later years under the medical care and friendship of Doctor James Gillman and his wife Ann. His staunch belief in God allowed his poetry to speculate on the spiritual and ephemeral nature of existence like no other poet perhaps with the exception of Shelley. 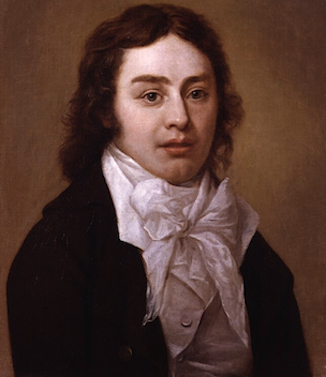 Coleridge’s eye poems also set him apart from other Romantic poets. Eyes are central to dozens of important poems and present in the form of significant phrases and lines in hundreds more. They are present as basic descriptors: ‘dark disliking eye’, ‘dim eyes’, ‘bright blue eyes’, but then the adjectives become more revealing and turn into adverbs and verbs: ‘upright eye’, ‘anxious eye’, ‘swimming eye’ and finally deeper, metaphoric and symbolic: ‘soul-transfusing eyes’, ‘her soul was in her eye’, ‘glitter to the eye of day’; an eye is like ‘a star of eve’, the eyes becoming the sinew and connective tissue of his poems. His collected poems can read like an exhaustive list of eye references. The most profound subject matter in the eye poems – life, nature, love, death, belief, existence – are predominately reached through a colourless blur of sky or the flowing surface of a river, a shifting cloud or the wind blowing through a ship’s sails. 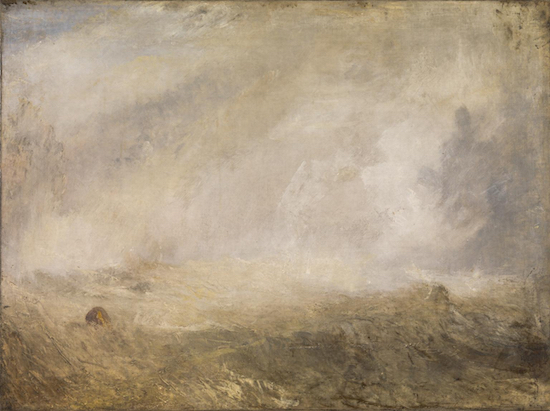 Turner’s seascapes and skyscapes, painted in an ambience of dreamy light, are the pictorial equivalents of the landscape Coleridge’s eye poems travel through. Colour has ceded to a grey-white formula, (perhaps Coleridge was colour blind? ), colour becomes form, and form becomes amorphous, and what is worth seeing is through or beyond. Coleridge is a poet of sight, or blind sight; he unites the sense of sight with an ethereal sixth sense which is the heart of the Romantic’s visionary ideas about the essence of being. His eye poems appear throughout his oeuvre. The imaginative gaze of Coleridge’s seeing is central to how we think of him as a poet. His eyes are ‘shaping spirits’. This self-confessed dreamer moves through the ‘electric beam’ of life in a series of visions, central to the journey is navigating through life’s ‘vale of tears’, but Coleridge is able to move from the sadness of a poem like ‘Dejection: An Ode’ — ‘and still I gaze-and with how blank and eye!’ — to a place of love and light at Highgate in 1834, dying seeing…in ‘rapture’s blissful trance’. Anthony Costello is a gardener, editor and writer. His first poetry collection,The Mask, was published by Lapwing in 2014; his second, Angles & Visions, was published by The High Window Press in 2016. He is the editor of Four American Poets (The High Window Press) and a co-translator of Alain-Fournier: Poems (Carcanet) in 2016. Anthony’s pamphlet I Freeze Turn to Stone: The Poems of Vincent van Gogh is newly published by Poetry Salzburg (2018). Anthony is co-editor of The High Window Journal and associate publisher at The High Window Press. This essay is one of 21 essays to be published in a forthcoming book by Poetry Salzburg called The Kava Poetry Lectures. Coleridge: Early Visions, Richard Holmes (Harper Collins), 1998, p.150. The Letters of Samuel Taylor Coleridge (The Grey Walls Press), 1950, pp. 1-13. The Eye of The Beholder, Laura J. Snyder (Head Zeus), 2015, p5. A complete collection of Coleridge’s poetry is here. Biographia Literaria, S. T. Coleridge (Everyman Classics ), 1975, p167. James Joyce, Ulysses, Chapter 3. Publication: Saturday, 13 October 2018, at 10:15. Options: Archive for Anthony Costello. Bookmark the permalink. Follow comments here with the RSS feed. Post a comment or leave a trackback.